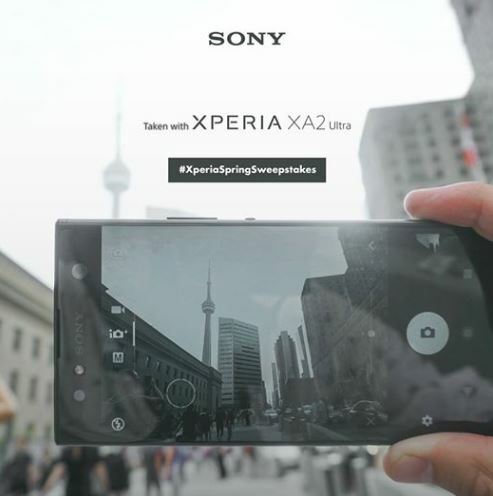 Enter now the Sony Xperia Canada Spring Sweepstakes, in it, you get the chance to Win 1 of 2 Xperia XA2 Ultra smartphones. This contest is open only to legal residents of Canada (excluding the province of Quebec) who are at least the age of majority in their province or territory of residence. To enter you need to visit the Sony Mobile CA Facebook page, follow it, find the post promoting this contest and comment with your answer to the following question “Let us know your favourite feature about the Xperia XA2 Ultra”. Contest ends on Friday, April 5, 2019 at 11:00 am. Winner will be selected by random draw from all eligible entries. There are two prizes available to be won, each consists of a Xperia XA2 Ultra smartphone valued at $529. The Sony Xperia Canada Spring Sweepstakes will be held between March 31, 2019 at 7:00 p.m. EST and at 11:00 a.m. EST on April 5, 2019. The draw will take place on April 5, 2019 at 11:00 am EST. Winner will be notified via Facebook DM.